All it takes is to put it against a fruit so each individual fruits' brix (sugar level) can be inspected. The measured fruits are intact and can then be shipped and sold after measurement. 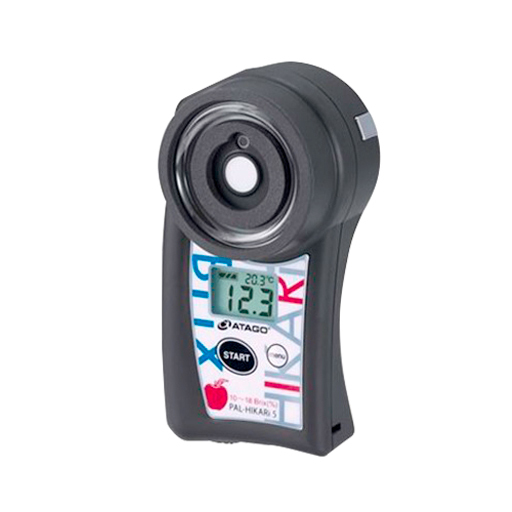 PAL-HIKARi sensor is the world most compact nondestructive refractometer. The button located on the lateral side of the unit makes it possible to take measurements with one hand while the fruits that are on the tree. The unit is battery powered which makes it possible to take measurements anywhere. The sponge on PAL-HIKARi allows for a secure surface contact with fruits. 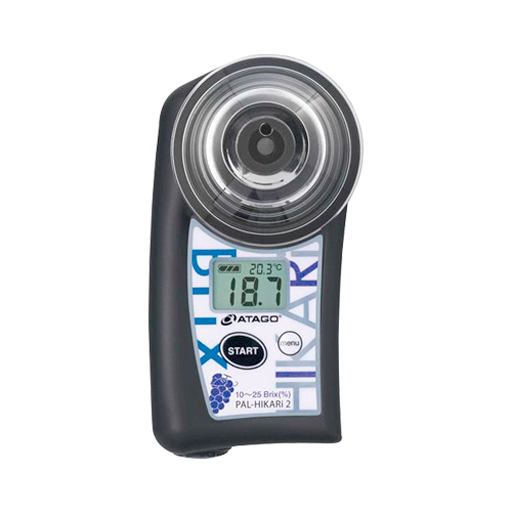 Regardless of the fruit shape, PAL-HIKARi's fits snug which eliminates measurement discrepancies caused by external light interference or placement of the fruits. 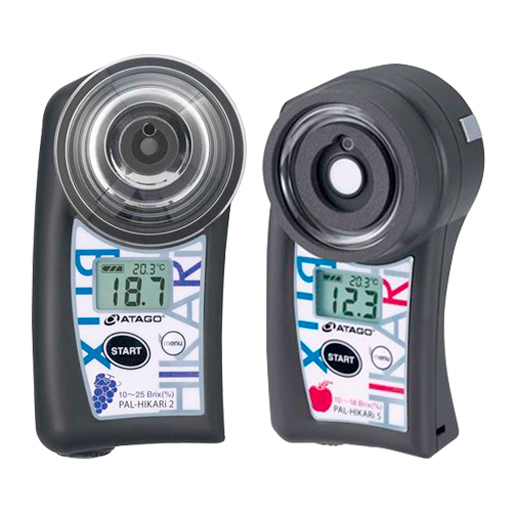 *Grape varieties and measurement environment may affect accuracy. 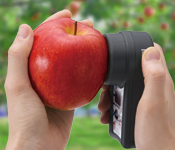 *Apple varieties and measurement environment may affect accuracy. Available for peach and Asian Pear.